Unipak will keep up-to-date with agricultural, food and beverage industry trends at the Iraq Agro-Food 2012. At Iraq Agro-Food 2012, Unipak, corrugated packaging manufacturer, will meet and network with national and international agriculture and food qualified manufacturers, suppliers, and traders from 26 - 29 November at Erbil International Fair Ground in Erbil, Iraq. sectors at booth #1F24 in Iraq’s leading agriculture and agro-food show. 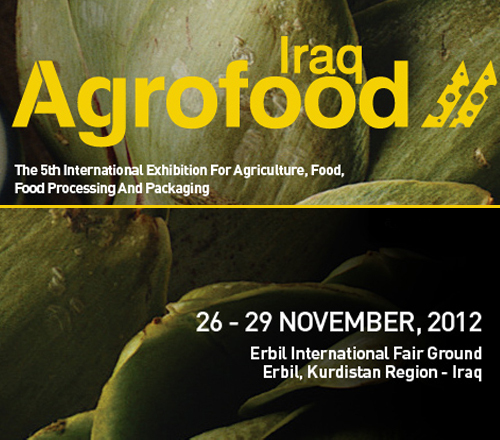 Iraq Agro-Food 2012 is the fastest growing and leading international exhibition catering to Iraq’s food and agriculture needs. Since its inception in 2008, the event has become one of the leading trade shows in the country attracting hundreds of industry-related businesses, key-decision makers and experts in addition to Kurdistan Regional Government and Iraqi Central Government officials. processed food, paramedical, soap and detergent industries.